Next Thursday (26th April) and Friday (27th April) we are running a Full Stack Hackathon in London. The goal of the Hackathon is to give you, the developer a chance to work with three of the most compelling technologies for building modern Applications, specifically Node.js, Apacha Kafka and MongoDB. Why these three technologies? Well, they are all at the forefront of the revolution in MicroServices and scalable web architectures, they are all Open Source and they all put the JSON data format front and centre of their design. At 7.00pm on Thursday we will all get together at 15 Hatfields in London to start building teams. Each team can have a minimum of two and a maximum of 5 team members. If you want to build a team and you have an idea, this is the time to pitch your ideas. Focus on the idea of a Minimum Viable Product. Remember you only have Friday to build your app. There will be plenty of pizza beer and soft-drinks on hand to ensure no one goes hungry or thirsty. Everyone who turns up will get swag bag of goodies from all the vendors including tee-shirts, pens, stickers etc. etc. On Friday we start bright and early. The team will be there from 8.00an but we expect people to arrive at 9.00am. We will provide breakfast rolls, tea and coffee and we will refresh the pitches from last night. This is when we finalise the teams for the day. After that its full speed hacking until 4.30pm. There will be a break for lunch which we will provide and there will be snacks and soft-drinks available throughout the day. There will be experts on hand from Nearform, MongoDB and Confluent to help you with your hacking challenge. At 4.30pm, each team will pitch and demo their projects. Each team gets 5 minutes. Then myself, Tim Berglund and Conor O’Neill will decide on a winner. Each member of the winning team will receive an Amazon Echo Dot. What will the winning team look like? They will have used all the technologies in a compelling way to build a minimum viable product that blows our socks off. Once prize giving is done we will retire to a local pub to celebrate the day with craft beer. We are buying! All this for the low low fee of £10. Register now, spaces are limited. We can’t wait to see you on the day. 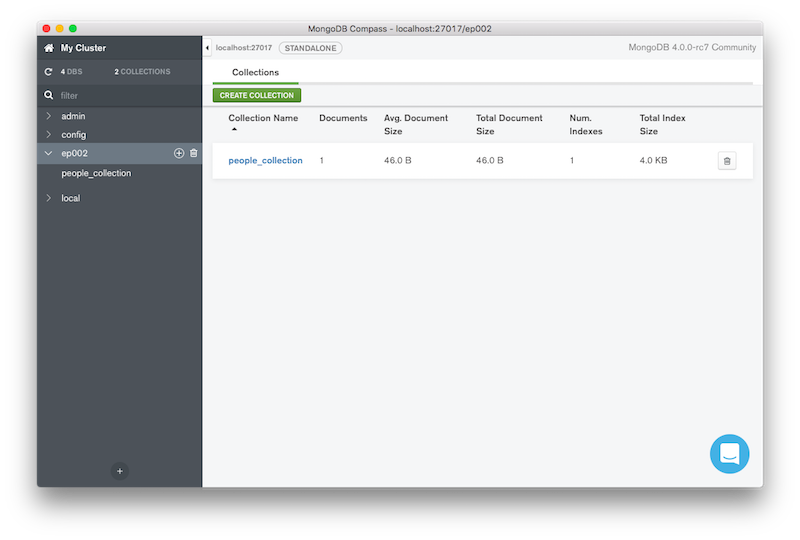 Atlas is the MongoDB database as a service offering. 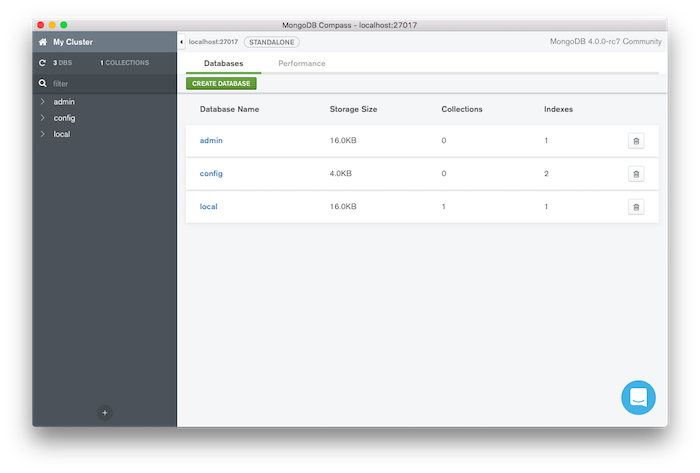 With Atlas, you can create fully managed MongoDB databases on AWS, Google Cloud, and Azure. If you have been playing around with MongoDB locally you will know how trivially easy it is for clients and servers to connect. Servers listen by default on port 27017 and clients by default expect to connect to localhost:27017. With Atlas, we need to connect to a remote server that expects both a username and password and an SSL connection. But don’t worry Atlas makes this super easy to configure. First login to your Atlas cluster at cloud.mongodb.com. Here is my login page. Now click the connect button. This will pop up the following screen. You want to scroll down to the Connect Your Application and click there. This will open up the Connection string screen. You now need to decide whether you are using the latest drivers (3.6) or an earlier version. When you originally created the cluster you selected a specific version of the server on the Create cluster page. If you are using a 3.6 driver then the server will be configured to use the new seedlist configuration format. If you click on that link you will get a window displaying the correct connection string. This string is hard to read on the screenshot so we can reproduce it here. For the 3.4 and earlier drivers, we use the old format MongoDB URI connection string. In both cases, you will need to supply the password that you created for your user. Note this is the password for the database, not your Atlas login password. This is a talk on Event Sourcing I did last year at the O’Reilly Software Engineering Conference in London. The slides are included below as well.